With more than 24 years' experience in the field, we are dedicated to helping you navigate the complex landscape of immigration law and deportation defense. We counsel individuals, families, and corporations, offering creative problem solving and powerful advocacy. We place a premium on compassionate and careful case management in all of your matters. We are here to answer your questions and guide you through the complicated process of immigration benefits and law. All of our clients are important to us. Know that our approach is individualized and hands-on: we help you reach your goals as quickly and efficiently as we can. All consultations with us are confidential.We are happy to set up a consultation to discuss our services and help you determine whether we fit your legal needs. 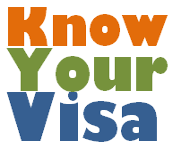 During a consult, we talk with you about your specific immigration situation in strict confidence. Because immigration is a constantly evolving and complex area of law, it's especially important to meet with an immigration attorney in advance of securing legal help. Know that a consultation does not obligate you to retain our services. We offer online case tracking so that you can check the status of your case at any time, and we use the latest technology in data management for efficient administration and security of your information. Click here to find out about consultations. Look at what our customers are saying. If you would like to receive regular updates on Immigration news as well as news about our firm. Please register on our mailing list.